All Glass and Glazing Ltd is proud to offer the most extensive, affordable and comprehensively high-quality range of double glazed units in England’s North West. Our extensive industry experience and local knowledge have enabled us to build an outstanding service package for the needs of both trade and private customers alike. We take enormous pride in manufacturing all double glazed units to order, in accordance with the exact requirements and requests of our customers. We work with only the finest-quality materials and branded accessories on the market, allowing us to back both our products and services with iron-clad quality guarantees. We’re also constantly monitoring the market to ensure our prices are kept at competitive lows – get in touch today for a quotation, or to discuss your glazing requirements. 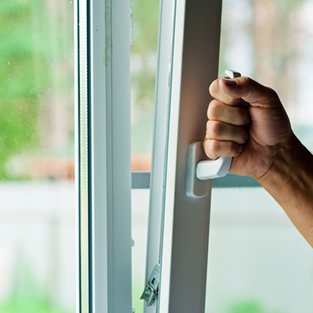 The right double glazing products have the very real potential to breathe new life, new appeal and new-level protection into any building of any kind. Here at All Glass and Glazing, we take enormous pride in ensuring that every double glazed unit we manufacture and supply is not only of the most exceptional quality standard, but also priced as affordably as possible. By manufacturing all of our double glazed units to order, we’re able to ensure that each of our clients gets exactly what’s needed to get the job done. Rather than carrying a permanent collection with a limited range of sizes and specifications, we work around the precise needs of our customers. Whether it’s repairing a single domestic double glazed unit or carrying out a large-scale industrial refitting job, we guarantee our full dedication and commitment to quality results. We’re proud to continue operating as a family business today, just as was the case the day we went into business. For more information on the specific types of glass products we offer or to discuss a quotation, give the All Glass and Glazing team a call today on 0161 427 7800.